If I was a tourist venue reviewer, I would start this blog post with 5 stars. As a previous professional in operations management, I would start this blog post with ‘organisational excellence’. As a teller of travel tales, want to reassure you that if you had any concerns about kitsch or tackiness at a venue celebrating Elvis Presley and displaying many of his belongings, it is not tacky or kitschy at all. It may not be tacky, but it is expensive. There are different levels of tickets available, I chose the Platinum tour which includes all the different exhibits, but does not enable you to queue-jump. As there is really only one queue, which moves quite quickly, it felt like the best value for money deal. 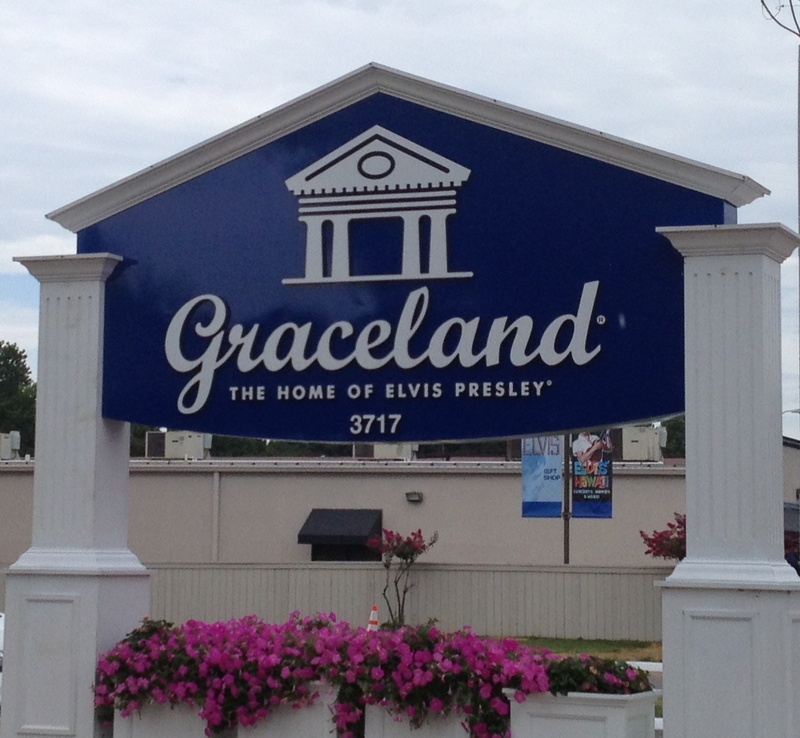 The house is on one side of Elvis Presley Boulevard, and the parking, shops and other exhibitions on the other. The tour around the house is a self-guided audio tour which can take between 30 and 45 minutes. There is some additional commentary relating to particular exhibits in the trophy building which add to the time, and the walk around the memorial garden at the end where Elvis, his parents and his grandmother are buried takes as much time as it takes people to take picture of gravestones.